Asia Triennial Manchester shows innovative work that represents contemporary visual art from Asia. Asia Triennial Manchester is supported by Manchester Metropolitan University and their Asian Cultures Research Group. The founding artistic director is Alnoor Mitha MA FRSA, Senior Research Fellow at MMU. Alnoor has over 20 years experience working in Britain and internationally, as artist, curator, writer, and producer and was previously the artistic director of Shisha, an international agency for contemporary South Asian crafts and visual arts (2002 -2011). As a collaboration strand of Asia Triennial Manchester 2014, this symposium will present diverse perspectives from keynote speakers, curators and artists on its theme Conflict | Compassion | Resolution. 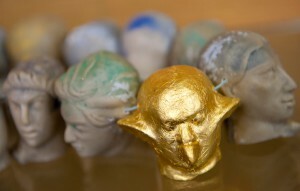 Asia Triennial Manchester announces 2014 SYMPOSIUM. Asia Triennial Manchester 2014: Artists and Program. 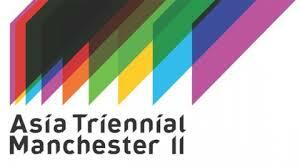 Asia Triennial Manchester 2014 (ATM14). The 2nd edition of Asia Triennial Manchester comprises fourteen exhibitions plus events and fimscreenings. Here a selection of four. Asia Triennial Manchester II, 2011.